How many of you have a website for your business that requires you to call up your web designer or IT person every time you want to make any change to your website? If you do, this is akin to requiring an employee or vendor to meet you every morning to let you into you business and paying them to do it. A few years ago we started using a content management system (CMS) for all of our websites. With a CMS, a client can do anything from correcting a misspelled word to creating an entirely new page. They can make the changes they are comfortable in making. Sure, they can still call us to do anything they don’t feel comfortable doing; and for some, that’s most everything. But the choice is theirs. They are in control. Could you tell me within the next 30 seconds how many visitors (customers) your website had today? If you noticed a typo in some text on your website, could you change it immediately? If you needed to make a company announcement on your site that was time sensitive, could you do so within the next few minutes? If you wanted to add an amazing photo to your website of some work your company just completed, could you show it now? And finally, if you wanted to add a video of a customer testimonial you just made (with your cool little flip camera) to the ‘testimonial page’ on your website, could that happen right away? He says over 90% of small business owners have to contact their webmaster to do what a 6 year old could do with the right tools. And not only do they often have to wait days for their changes to be made, they’re getting charged for it. With the right CMS, you could answer “Yes” to every question in the list. We suggest using an “Open Source” CMS. These are usually free, so there is no special software you have to buy to use them. Three of the oldest and most popular Open Source CMSs are: Drupal, Joomla and WordPress. There are some new up and comers that are also good. One good thing about these CMS platforms is that they each have a large community of designers that use them. Therefore, if you decide to leave your current web designer, for whatever reason, you should have no trouble finding a replacement. 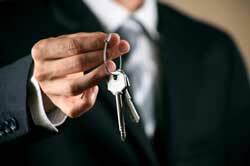 Do you have the keys to your business? If not, call us and let us make you a set of your own keys. Next post: A Little More . . .